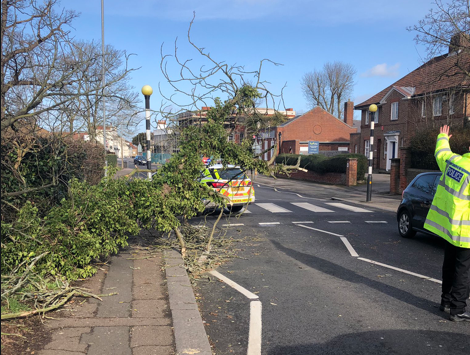 Essex Police has warned that a tree is down in Old Harlow. The tree has fallen onto the highway on London Road. You are advised to avoid the area. Photo courtesy of Sgt. Kevin Mayle.